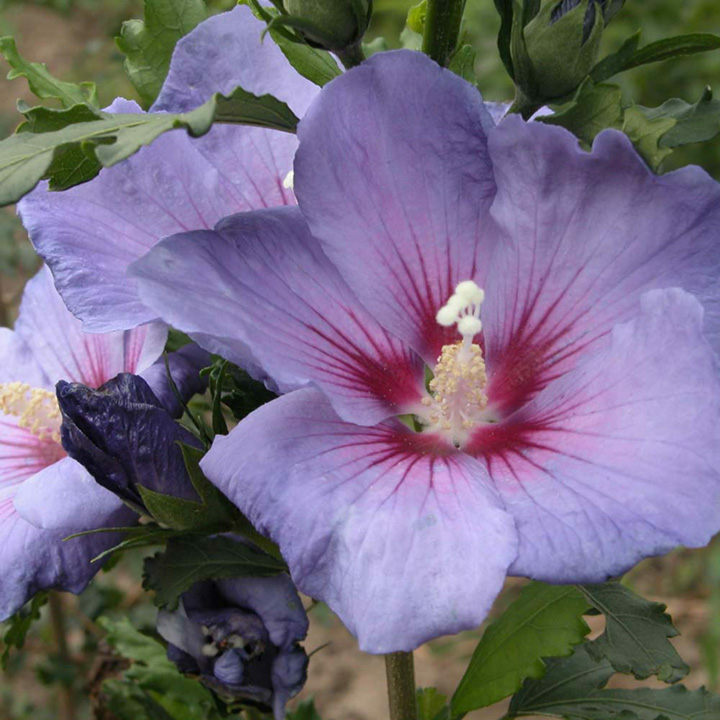 Hibiscus syriacus Azurri 'DVPazurri' (Rose Mallow) from the Belli Colori series is a hardy deciduous shrub with exotic-looking, sky-blue flowers. It has dark three-lobed foliage. 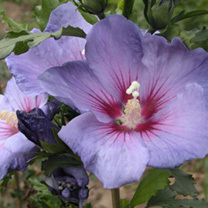 It will thrive in most soils that moist but well-drained and in full sun. Flowers July-Septemer. Height 200-250cm. Supplied in a 3 litre pot.